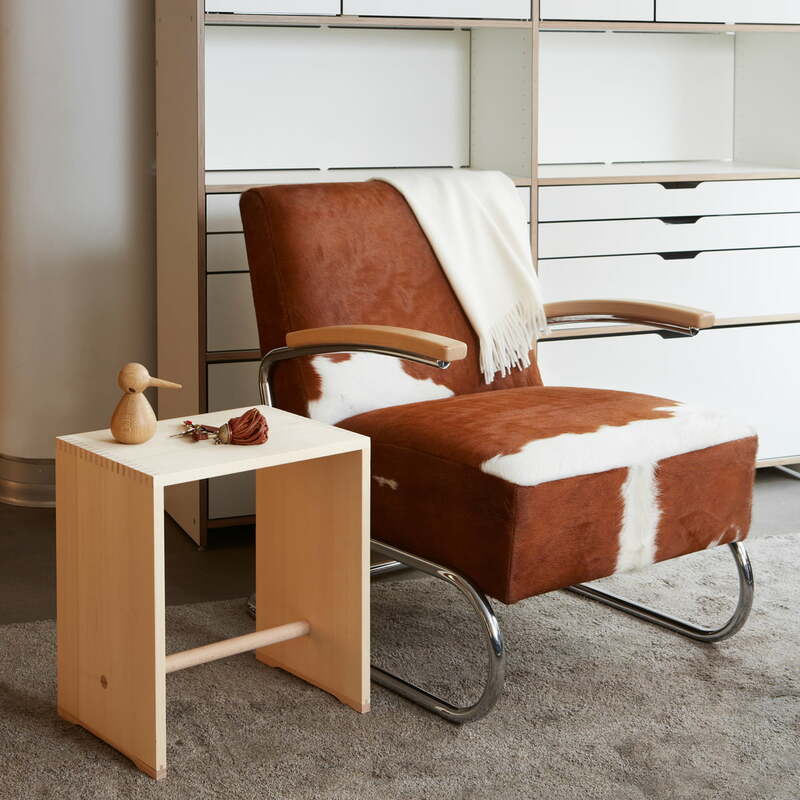 Whether as a simple stool, an unobtrusive side table, nightstand or mobile tray for books and magazines – the Ulmer Stool by Max Bill is a popular classic piece of furniture. The Ulmer Stool was designed in 1954 by Max Bill, the first Director of the Ulm University for Design HfG, in collaboration with Hans Gugelot for the students of HfG. Because they where on a tight budget, they created the seating for the students themselves. The stool had the advantage that it was easy to transport with great stability and also served students as a carrier for their documents. The design was geared only towards functionality: the round bar (initially made from a broomstick) gives stability to the stool, and also serves as a handle. This way, it is suitable as a versatile chair, side table or shelf but also as a transport tray, serving tray or tabletop. 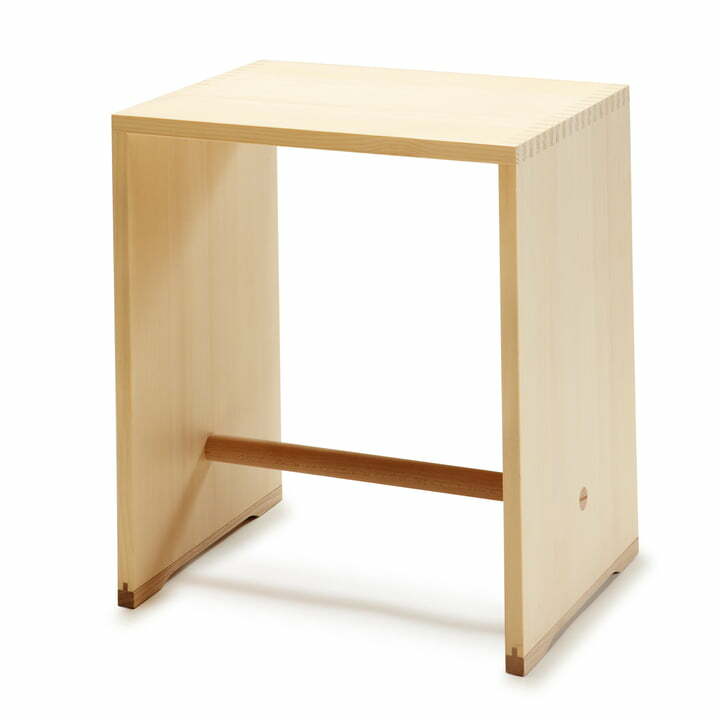 The Ulmer Stool is a good example for the creativity of people when there are few resources. 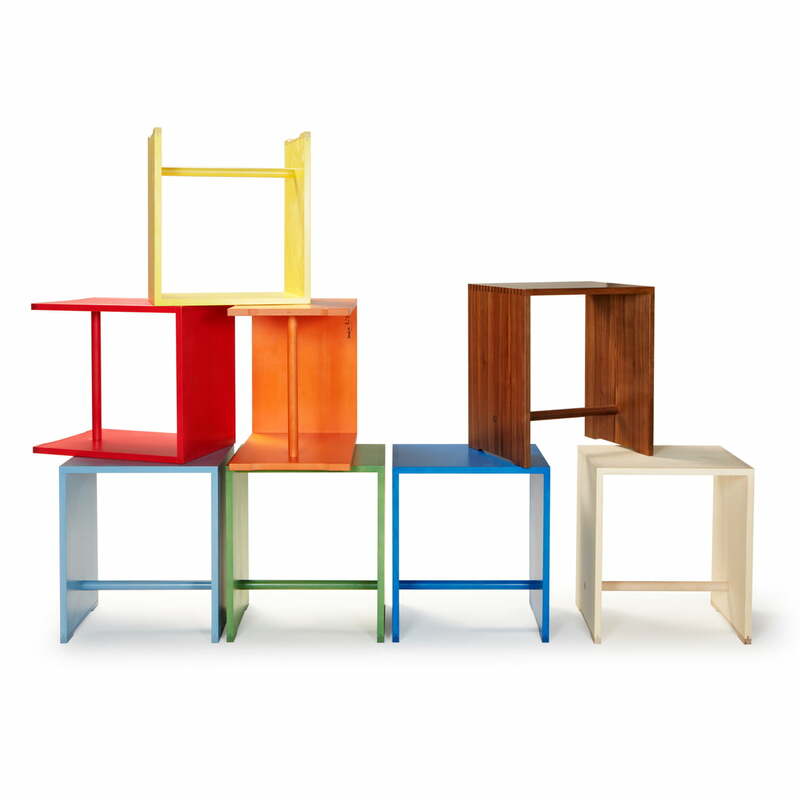 Today, the stool is an absolute design classic! Its popularity increased steadily in recent years, due to the fact that it is versatile as well as formally restrained. It fits into public spaces such as museums, galleries, stores, offices, hotels or schools as well as in private rooms. 53 of 121 customers have found this review helpful. very happy with the quality of finish & design!Also delighted with the shipping & delivery to my studio.